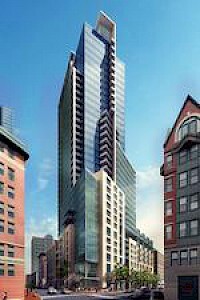 101 Clarendon Street, also known as Columbus Center, is a proposed skyscraper planned for Boston, Massachusetts. 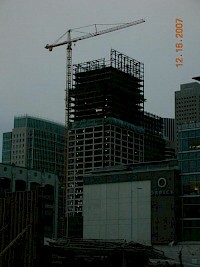 If completed, it would stand as the 25th-tallest building in Boston. Continuing on the trend established by the Prudential Tower in 1964, the completed building will conceal more of the Massachusetts Turnpike by utilizing air rights above it. 2727 Kirby is a 30-story, 96 unit, condominium high rise, designed by Ziegler Cooper and located in Upper Kirby just south of Westheimer in Houston, Texas. Residents of this building are zoned to schools in the Houston Independent School District. They are zoned to Poe Elementary School, Lanier Middle School, and Lamar High School. 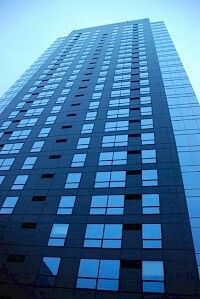 Aspira is a 400 ft (122 m) tall skyscraper in the Denny Triangle neighborhood of Seattle, Washington. It has 37 floors, and is comprised mostly of apartments. 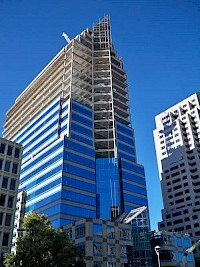 Construction ended in late 2009. 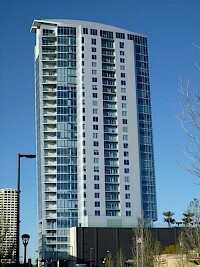 Element is a 460ft (140m) tall skyscraper in Tampa, Florida. It has 34 floors and 395 units. 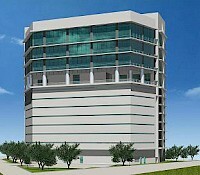 It was designed by Rule Joy Trammell + Rubio, and developed by Novare Group / Intown Tampa Development.